If you’ve only just bought a Raspberry Pi, you’ve no doubt seen many XBMC media centre projects and conversations all over the web. 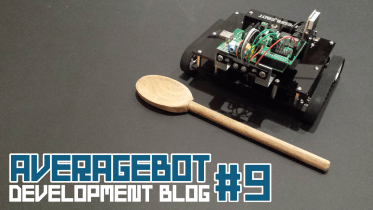 I’d take a guess that it’s the most popular project to make with a Raspberry Pi. Due to this massive popularity, there are a lot of different media centre solutions for the Pi lurking around, from RaspBMC (soon to be OSMC), OpenLEC, Xbian and even RasPlex. 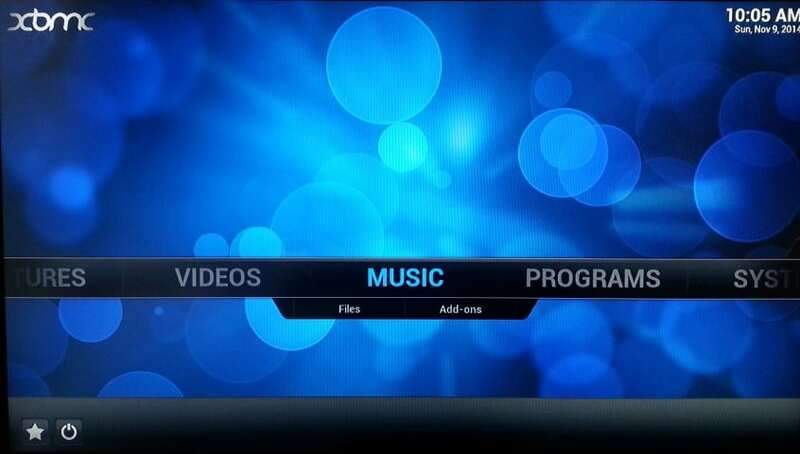 This post is a guide on how to get started with RaspBMC, for the ‘average man’ – real simple, just the basics! For those of you looking to buy a Raspberry Pi purely for RaspBMC, here’s your shopping list. A case for your Pi – looks cool, protects the Pi, less than £5 – why wouldn’t you? I’m sure there are more things you could add as well, but let’s stick to the basics today. Before you do anything else, let’s get the SD card sorted. 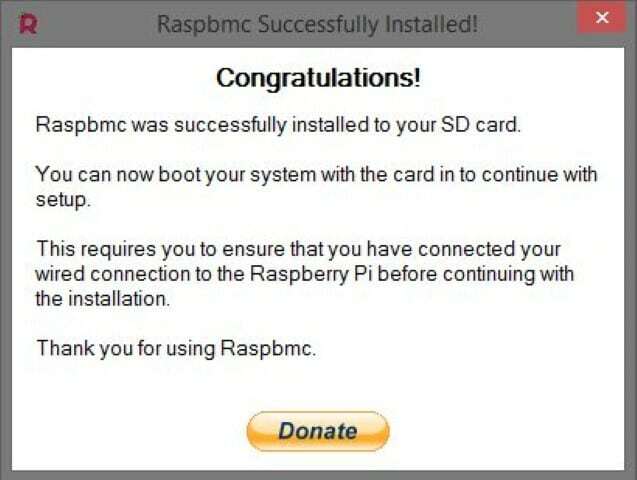 The SD card is your Pi’s ‘hard drive’ as such, the same way a computer has one with an operating system installed – we’re just installing RaspBMC instead. Pop your SD card into your PC using a card reader (USB or built in). Click Accept, which will then take you to the main screen. 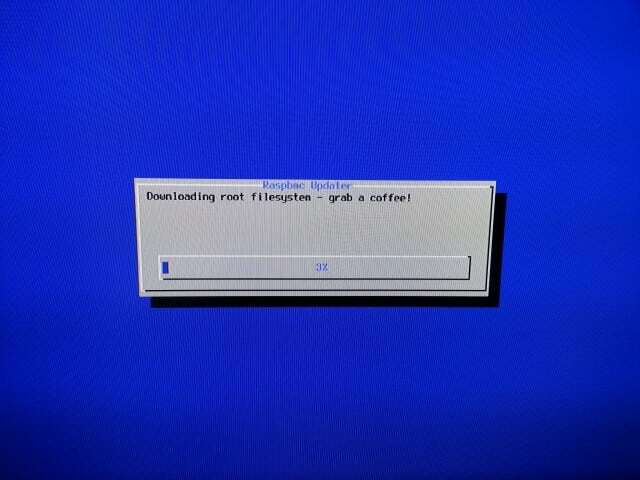 The program lists the available SD cards connected to your computer. It’s best to remove any other SD cards you may have connected, to avoid accidentally writing to the wrong card. All you need to do now is safely remove the SD card using the usual icon in your taskbar. 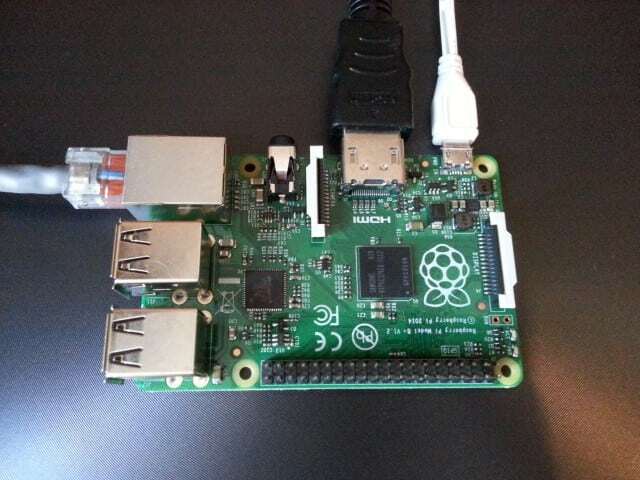 We have the SD card ready to go, so now we need to connect the various cables to your Pi. The only thing to note here is to turn the power off at the plug – we don’t want the Pi starting without all the cables attached. If you are using any of the optional devices such as a WiFi adapter or a Keyboard, plug those in as well. You’re ready to start now, so turn on the plug at the wall (with that slight nervous feeling we all get the first time we use a Pi)! RaspBMC will go through a download and update process, which can take around 10 minutes. Sometimes it feels like it’s just repeating steps, but be patient with it. Just when you think it’s about to start, it’ll begin downloading something else! You will see a lot of these screens – be patient! Congratulations, you now have the coolest media centre in the world! Remember earlier on I suggested a TV with HDMI-CEC? If you’re still wondering what that is, it stands for Consumer Electronics Control (Hence ‘CEC’). It’s 2014 so will be hard to find a decent sized TV that isn’t CEC enabled. If devices are CEC enabled and connect via HDMI to your CEC enabled TV, it simply means your standard TV remote can control the CEC connected device. 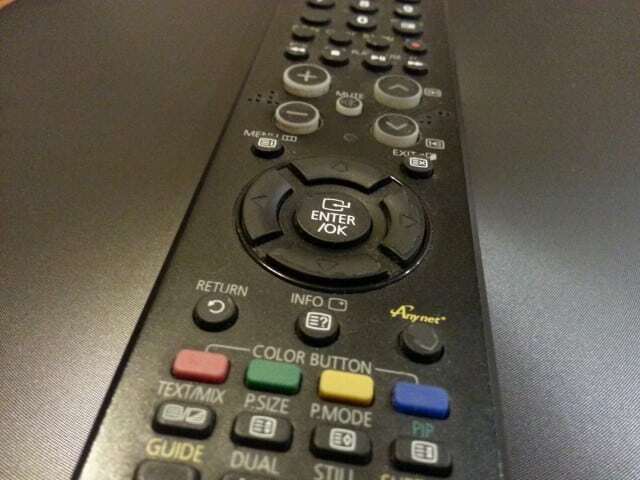 Yes, your TV remote can control RaspBMC – how cool is that? 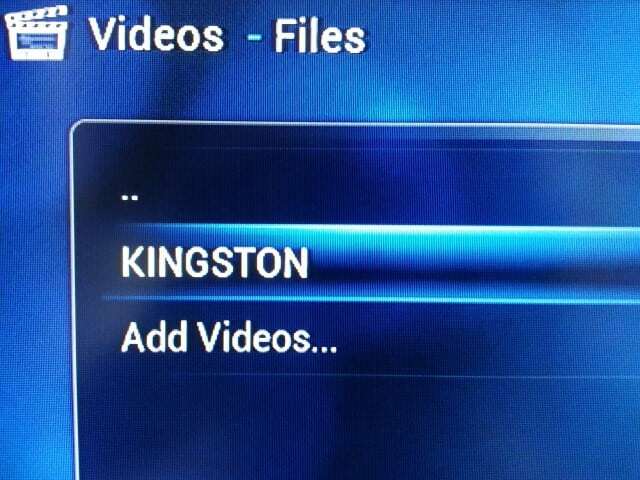 RaspBMC comes with this enabled, so go on – give it a try! You should have the basic controls of up/down/left/right and some form of ‘OK/Go’ button. 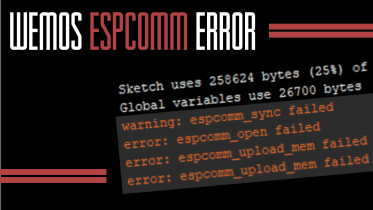 Others may have more but it depends on your TV, and as always, there will be some examples that don’t work – but check the RaspBMC forums for help with that. Failing that, you can use a keyboard to control your media centre, or one of the many apps like ‘Yatse’ (my favourite – Android). You can even add after market Infra Red remotes via the Pi’s USB. A media centre is pretty redundant without any media, so here’s a few ways you can add local and/or streamed content. The easy option is a simple USB stick with some films/music on it. RaspBMC handles USB storage out of the box, so this is simply a case of plugging it in and finding the films. Plug your USB stick into the Pi, and wait for a little notification to pop up in the bottom right corner telling you it has been detected. 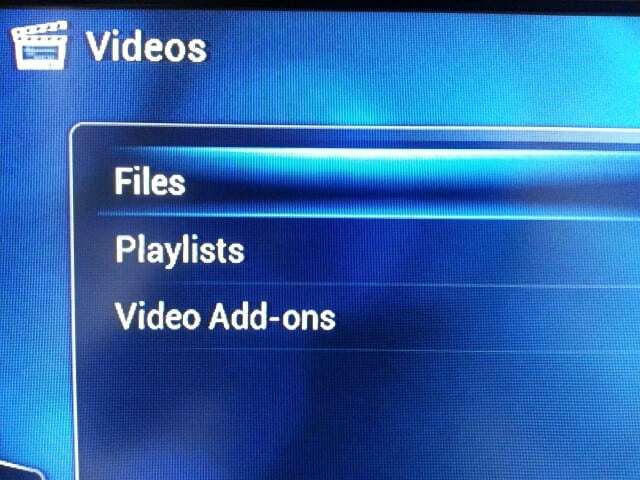 There are features such as setting source content for media scraping, which will give you all of those nice backgrounds and DVD covers – but again, this is standard XBMC territory and already very well covered on the web, so I won’t cover that here. 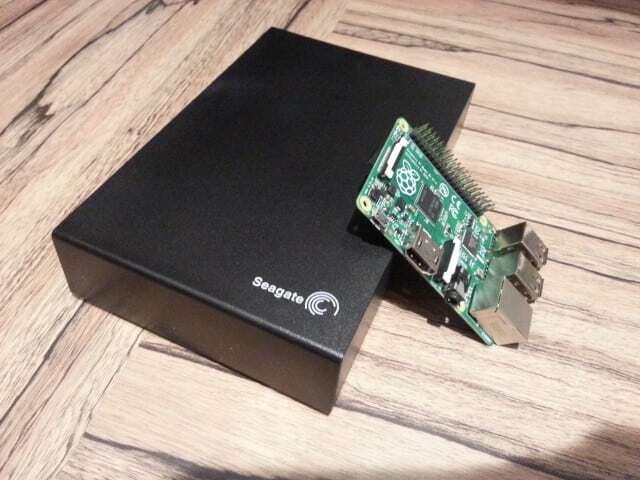 Using an external hard drive is the same as the USB stick method above, however you cannot power a USB hard drive from the Pi! 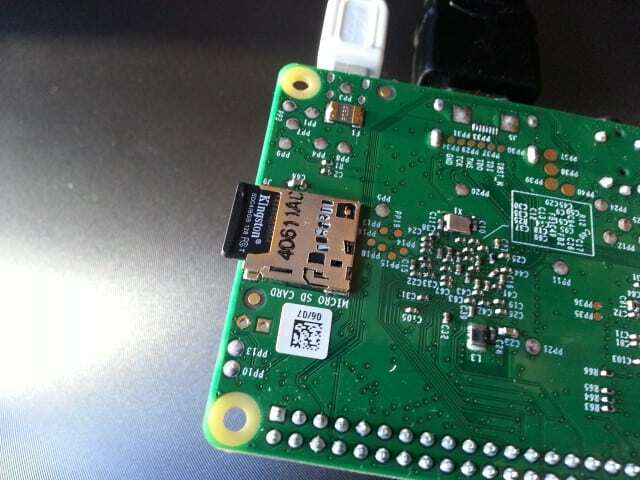 The Pi cannot provide enough power over USB for this – you’ll get into all sorts of problems if you do. A separately plugged powered hard drive is the way to go here. I use a 2Tb hard drive to store all of my films. 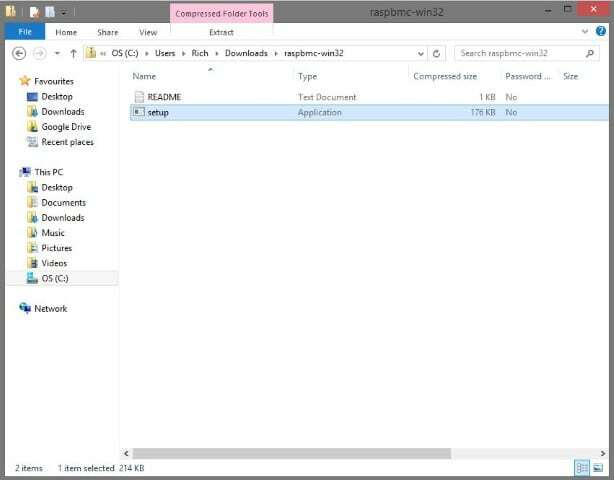 Again, all you need to do is add the drive as a ‘source’, use the scraper, and away you go. Add a powered external hard drive for masses of media! 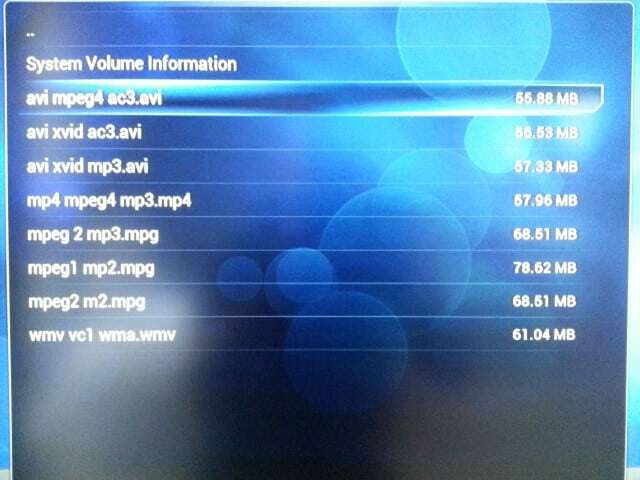 If you have a NAS box, or even just a PC sharing files over the network, you can tell RaspBMC where these files are over your network and add the films/music to your library. I had a lot of ‘lag’ when first trying this, and went through weeks of trying different things to get it working. To avoid lag when streaming, I cannot recommend using NFS enough. NFS stands for ‘Network File System’ and is a very ‘light’ way of serving/streaming. A lot of NAS boxes are set up to stream via SMB or UPNP – however these can be slower, and some don’t always offer the full fanart/info scraping that NFS or USB media will. A Google on your NAS model will soon tell you if you can use NFS – I did this recently for my friend’s Synology NAS and it worked a treat. 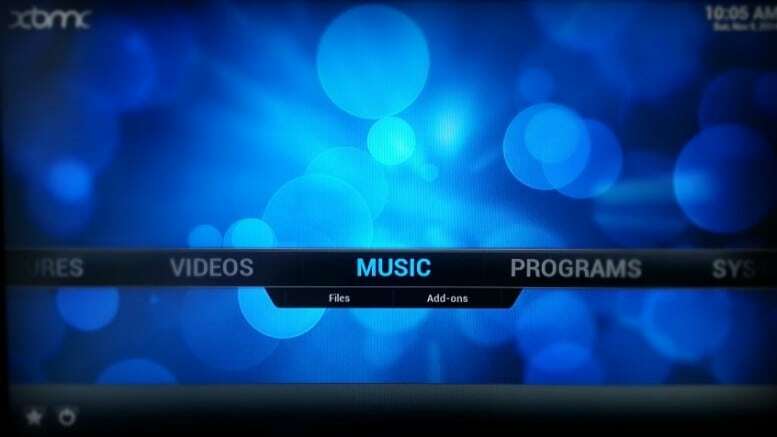 There are endless add-ons for XBMC, and the majority of them work in RaspBMC (not all). For example, I use an NHL add-on to watch the Ice Hockey, in HD, on my Pi. 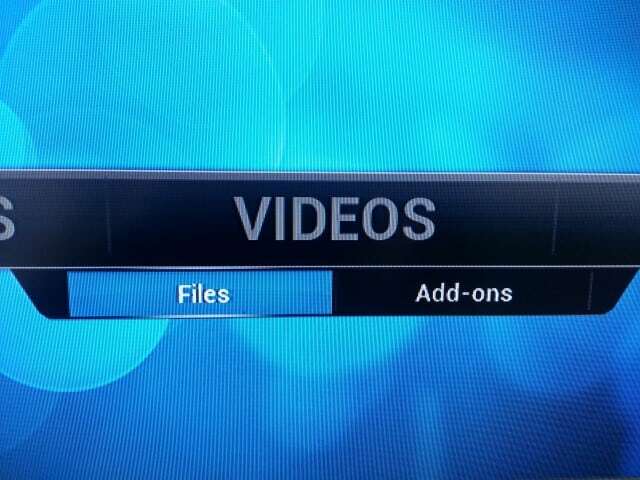 How to add and use add-ons is well documented on the internet as it’s a standard function of XBMC across all devices, so a quick Google is all you need. I’m not covering it here as it isn’t Pi-specific. Setting up a Raspberry Pi XBMC media centre is very easy, especially now that we have clever installers and a really polished product thanks to all of the hard work the developers put in. The Pi handles playing films and music flawlessly, and is an absolute bargain media centre solution at £25! Plus we’ve only just touched the surface to get you up and running – there’s loads more to do and learn. Overclocking, streaming, add-ons, skins…even running your own Python scripts in the background! 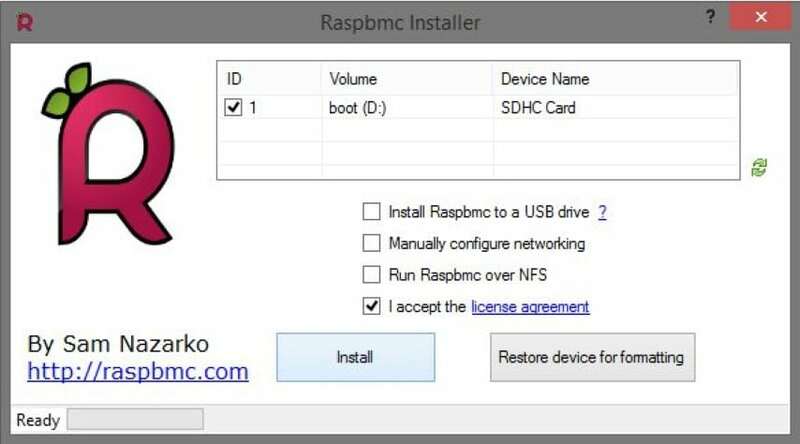 If you end up following this guide and use RaspBMC regularly, drop Sam (the developer) a donation via the RaspBMC site so he can get a cold beer after a night’s work. As always, if you need any help, get in touch via the Contact Me page. 2 Comments on "Raspberry Pi XBMC Set Up Guide"
A lot of people have done exactly that – it makes a great car entertainment system (in the back of course…). I haven't had it running on a small screen yet, but head over to the RaspBMC forums and there should be lots of examples to look at.